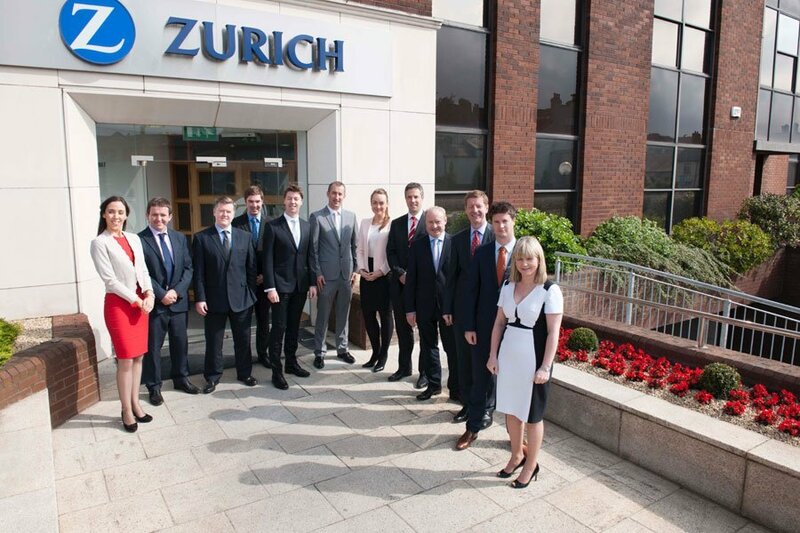 The team at Zurich Investments look at the year ahead to see how the economic and political landscape will shape and influence the performance of the investment markets. Since Zurich's last investment outlook, the political and investment landscape has changed considerably. For investors, navigating through volatile markets can be challenging, but at Zurich, we think that the Trump election, China stimulus and some modest rise in global inflation can push equity markets in general further along their structural and cyclical uptrend. Equities are above fair value, but not excessively so, and remain attractive versus ultra-low bond yields. Long-term eurozone bond yields reached fresh all-time lows towards the end of June 2016. Market action suggests the end of a multi-decade period of declining long-term interest rates. Central Bank divergence is also likely to continue and we don't anticipate that equities will be undermined by a modest rise in long-term interest rates. Upside risks to outlook include: Global growth bounces, buoyed by reflationary fiscal policies in US, China. Commodity prices continue to rise, allaying deflationary fears. Monetary policies remain supportive globally and interest rate increases in the US are interpreted as a vote of confidence in the economy and a welcome return to normality. On the downside, economic growth slows in Europe and elsewhere due to concerns that the new US administration may introduce trade protectionism, stalling global growth. Monetary policy tightens more than anticipated in the US and there is a sense of anticipation as to how the markets will react? Upcoming elections in France and Germany pose political risks for Europe next year, while structural risks remain, especially in relation to whether there will be a hard or soft Brexit? Further Chinese devaluation of the yuan would be a drag on growth and inflation in the rest of the world and geo-political risks remain with the ISIS conflict and the migration crisis in Europe. On an absolute basis, equity markets are more fully valued, and are above historical averages. However, a boost to earnings - in line with some modest improvement in global economic activity and perhaps a small lift to inflation from a low base - would be supportive. Relative to bonds - which remain on highly elevated valuations - equity markets are favourably valued. The Zurich Investment team see the equity market still with further upside despite the broad gains in global markets over the past number of years. Investors remain poorly positioned in terms of asset allocation and we do not yet see the signs of euphoria that would signal a cyclical or structural end to the equity bull phase. At some stage a shock to equities could emerge from rising bond yields or inflation. Consensus expectations for earnings growth in 2017 remain at 12%. The structural backdrop in the eurozone is not positive and further fears of a crisis may emerge. Asia and Japan should offer interesting opportunities in the year ahead. The US market arguably remains the 'cleanest' structural case for an equity investor but we remain alert to its absolute size in the global markets, the need for diversification, and its fuller valuation. The dividend yield on pan-European equities at 3.8% offers an income uplift compared to existing government yields whilst the US dividend yield at 2.1% is not as supportive. ECB policy rates should remain low for an extended period of time due to subdued economic growth and low inflation. The perception of deflationary risks has diminished and this could impact on ECB policy action. Valuations are not supportive of most European fixed income as a long-term investment. Bond market behaviour is consistent with the end of a multi-decade period of falling long-term interest rates. This could be followed by a long period of choppy price action, but risks are skewed to the upside now. The US central bank is set to raise rates further in 2017 with risks being skewed to more hikes than the market currently expects. Inflation, although still at historically low levels, has seen a pick-up due to rising commodity prices and some upside wage pressures in the US. Since investors - and central bankers - have been focused on downside inflation risks for so long, it would not take much change on the upside to produce inflation concerns. As we have said on many occasions no major country has the inflation justification for actively pursuing a stronger currency. The US has been able to shoulder a stronger currency as other economies such as eurozone, Japan and China have pursued weaker currencies actively, or as intended consequences from other policy measures. There are limits to the US's tolerance of this however. Currency weakness has been a deliberate preference for the eurozone but at some stage the valuation of the euro versus the dollar will become attractive enough to warrant hedging of dollar based investments. Japan's preference for a weaker currency is offset by its strong external position and the limits of the global 'zero sum game' of currency manipulation. Donald Trump's election to the White House has increased expectations that the reflation trade will continue as fiscal spending increases. The price of oil is likely to be underpinned by a large reduction in capital expenditure by oil companies. The recent OPEC agreement on reducing the supply of oil further helps the oil price.